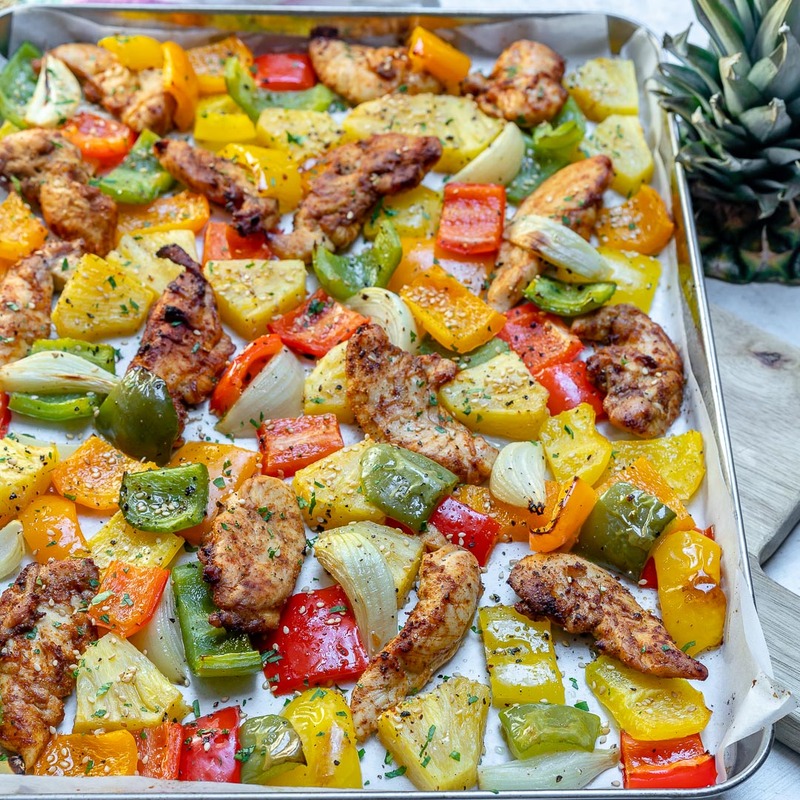 Crazy delicious chicken pieces with tangy-lime, and sweet pineapple happening all over the place. It’s moist, juicy, tender, and totally delicious! 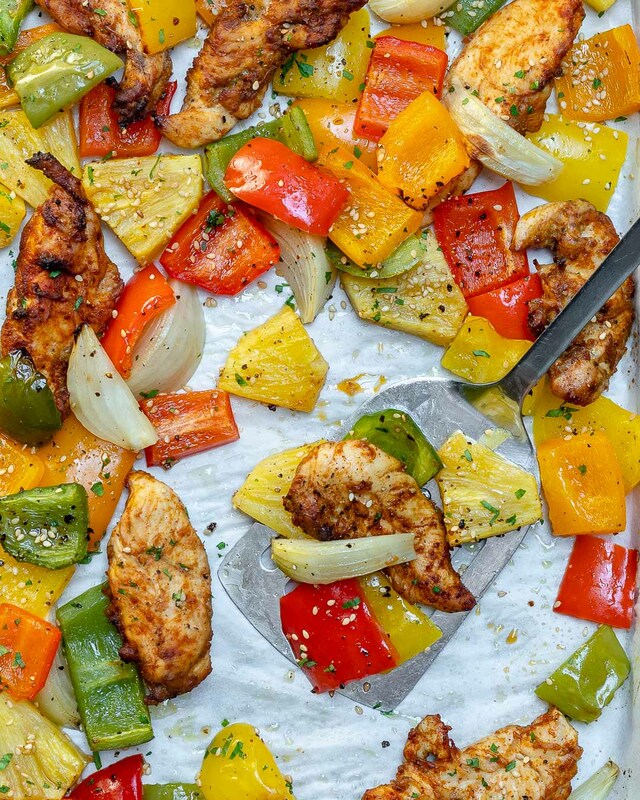 Try this savory and citrusy-sweet chicken on top of brown rice, and you’ve got a meal! 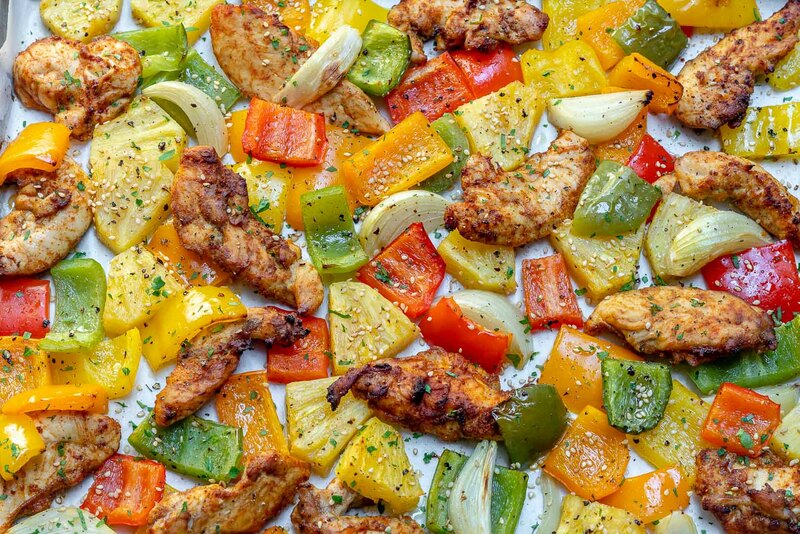 I just want you to put this into your dinner plans immediately. 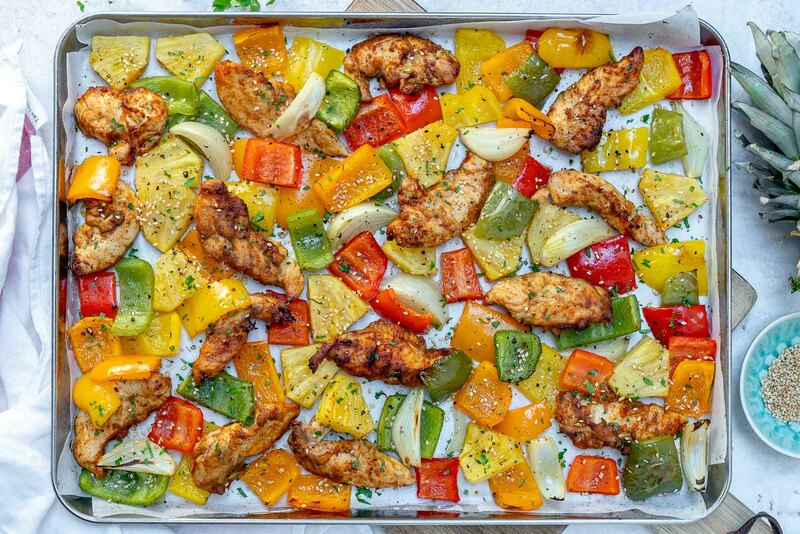 Preheat the oven to 425 f. and line a large, flat rimmed sheet pan with parchment paper. In a large glass bowl mix chicken with chili powder, cumin, garlic, coconut oil, sea salt, and pepper. Stir well to coat. Add the onion, peppers, pineapple and lime juice then gently toss to combine well. 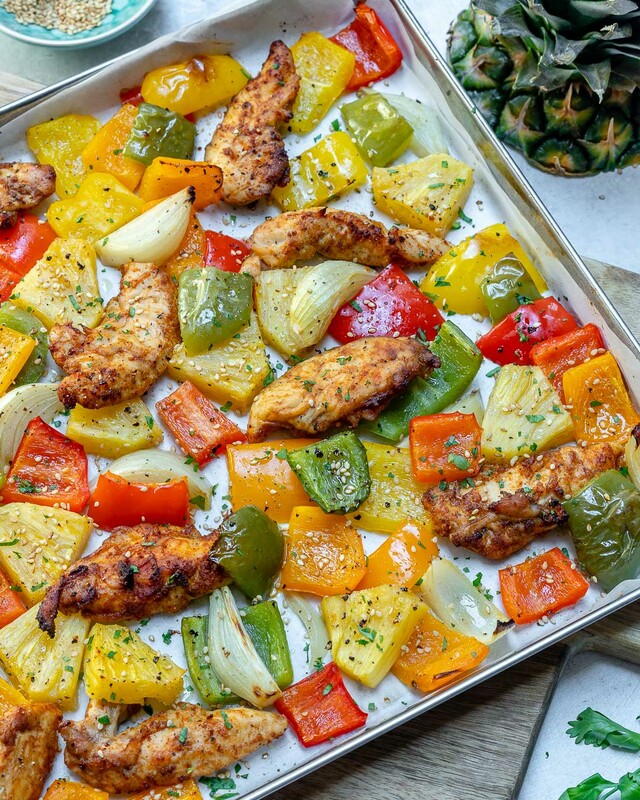 Spread in a single layer on your prepared sheet pan. Roast for 10-12 minutes then broil for a couple of minutes more, or until the veggies are lightly brown and chicken is cooked through. 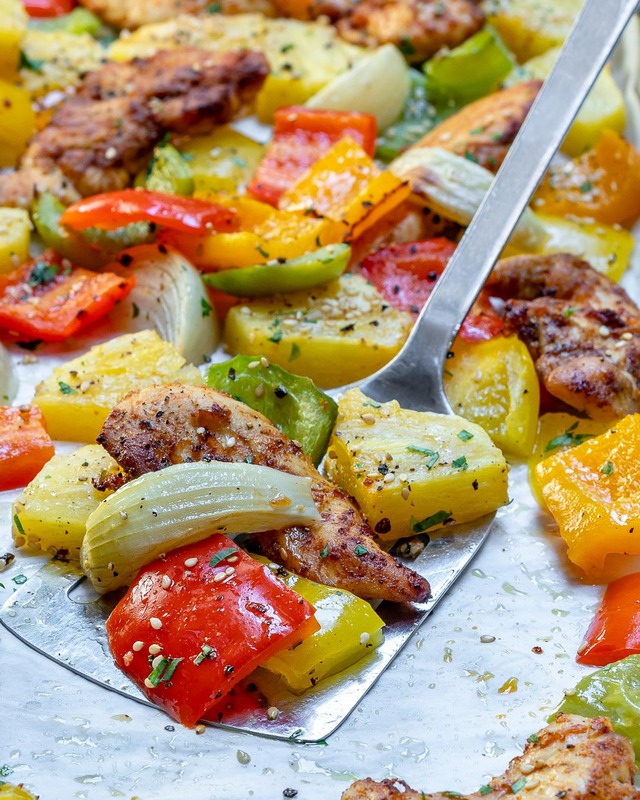 Garnish with sesame seeds and fresh chopped cilantro and enjoy! Preheat the oven to 425 f. and line a large, flat rimmed sheet pan with parchment paper. In a large glass bowl mix chicken with chili powder, cumin, garlic, coconut oil, sea salt, and pepper. Stir well to coat. 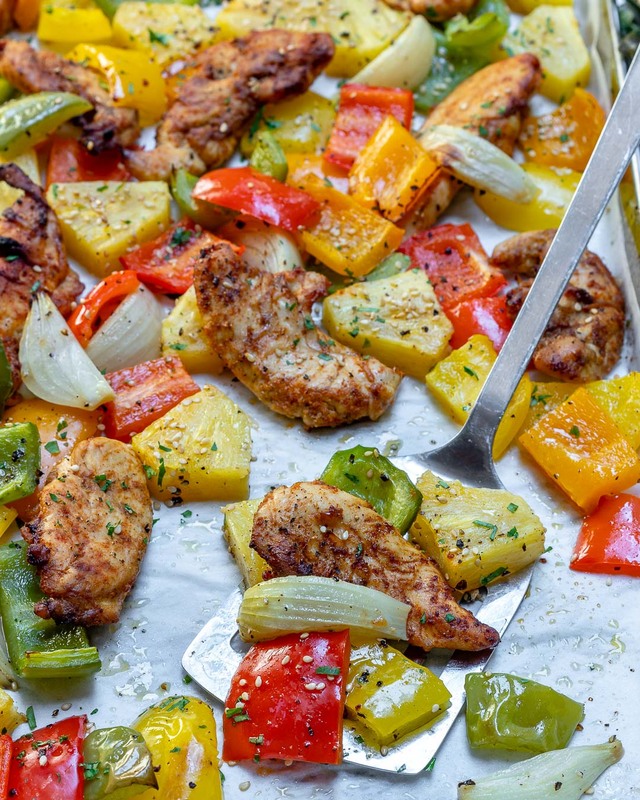 Add the onion, peppers, pineapple and lime juice then gently toss to combine well. 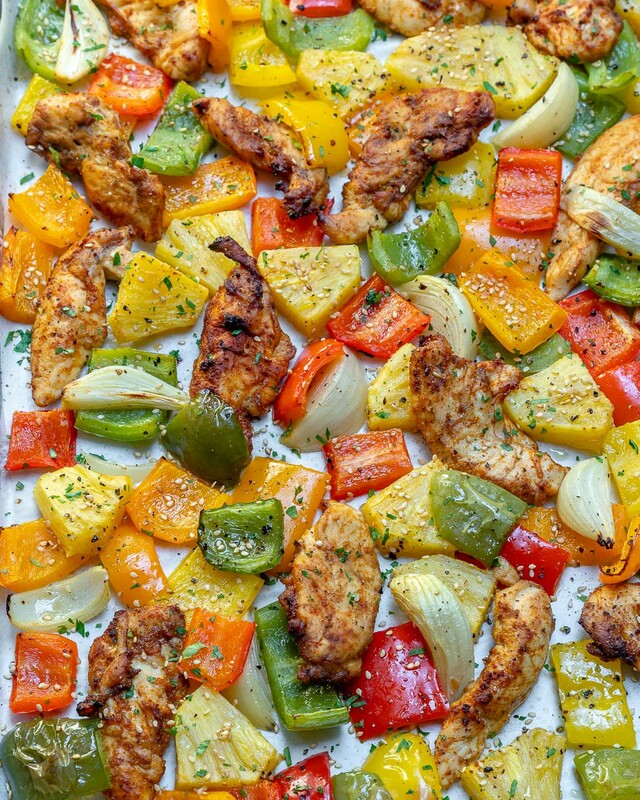 Spread in a single layer on your prepared sheet pan. Roast for 10-12 minutes then broil for a couple of minutes more, or until the veggies are lightly brown and chicken is cooked through.